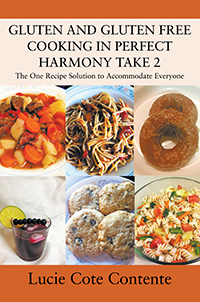 What makes this book different from other gluten free books is that the recipes are written for everyone—people with and without gluten issues. Delicious meals made the original way and it incorporates a new cooking technique for people with food allergies. Creating one recipe for the whole family with one little tweak called the “root recipe”. If you have a food allergy, imagine the main part of the recipe is like a tree trunk - the part everyone can eat, separate the main mixture into 2 bowls and add the “root ingredients” - the gluten free/non gluten free ingredient to complete the recipes. The best part is that the gluten-free person gets to eat exactly what the non gluten-free people eat. If you enjoy delicious food, this book is for you. If you are on a food allergy journey, this book is for you. 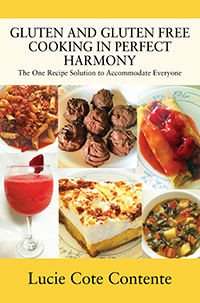 If your family is food diversified, this book is for you.